will you be updating this map with the new content? Biomes/Trench and such? 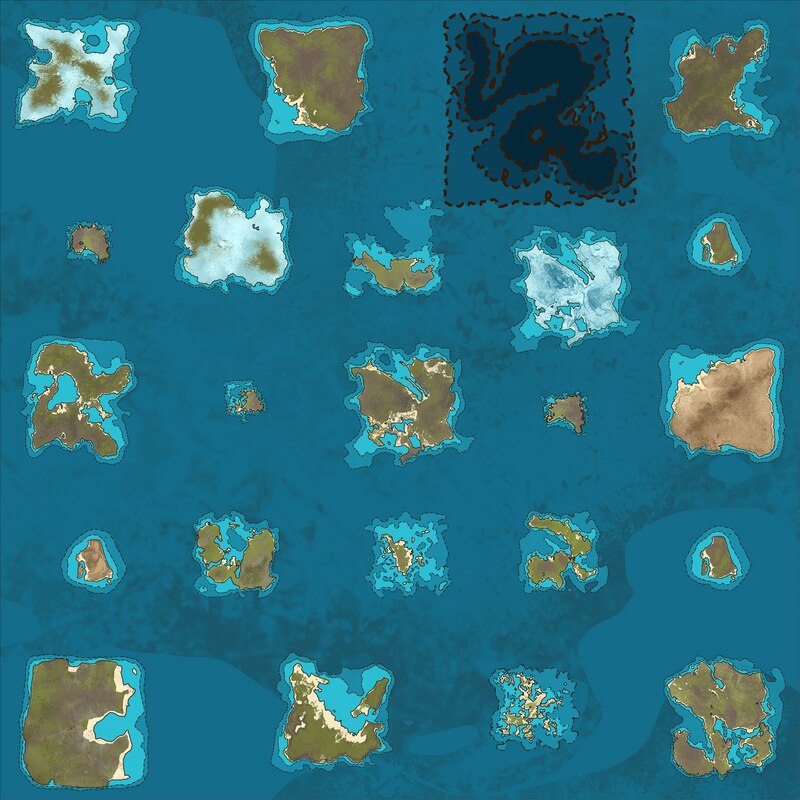 its a great little map for playing around on, a few water texture issues around the edge by some of the islands, but over all great. yea plz !! love the map ! Hey, so a friend of mine and I started using this map. We also added the trench with the use of a grid editor by moving a couple of other islands and removing a couple of small islands aswell. (https://github.com/G...GridEditor/wiki) although we haven't actually gotten to try the trench stuff yet, so we don't know if it worked. We've met with an issue about about double or triple the amount of enemies spawning on treasure maps, no matter the quality. Is this something that can be linked to the map? Not starts with last version of map you're uploaded. Game load stops on PrimalGameData_BP section and never starts. Is that a fresh install ? I only ask cos Ive checked the map & cant see any obvious error on my part, Not saying I havent missed something but if I have I aint seeing it.. I've removed "Saved" data folder completely. It's enough? Now I used a completely fresh installation (including steamcmd and new machine), confirmed, map now working. There will always be slight render issues due to the 200k over sizing..... Map should load ok though but from what I understand from the large patch a fresh start is required which is why they had to insist on a fresh start too... so if your running the old map & update to this one chances are it wont work until you do a FULL clean & start fresh..
First Off I love the Job you did on this Map. Thank You very much for the time you put into doing it. Is there anyway to turn off or Turn down the Boss Mobs Hit points? , Like The Damned Crew ect.... Is That something to do with what you have done in the .Json file , if not does anyone know how to do that? Do I put that in the "GameUserSettings.ini Custom Code" ?